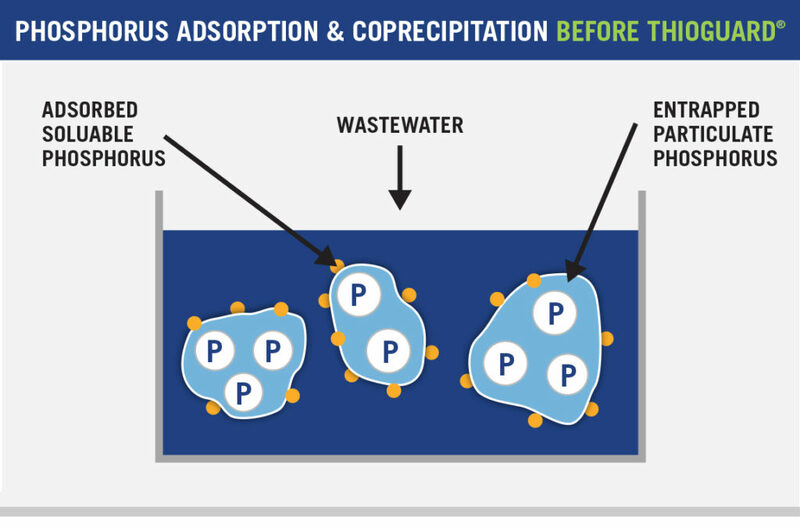 Increased regulation of total phosphorus limits are a fact of life, and another challenge for WWT plant operators and engineers. In most treatment plants, metal salts (ferrous/ferric or aluminum) are added for the treatment of phosphates. while simultaneously improving biological uptake in bioreactors. Thioguard is engineered to provide maximum magnesium hydroxide and sustained alkaline utilization, enhancing the formation of metal hydroxide precipitate and increasing the adsorption of soluble phosphorus. The benefits of adding THIOGUARD® to your treatment processes are not limited to enhanced phosphorus treatment and management. 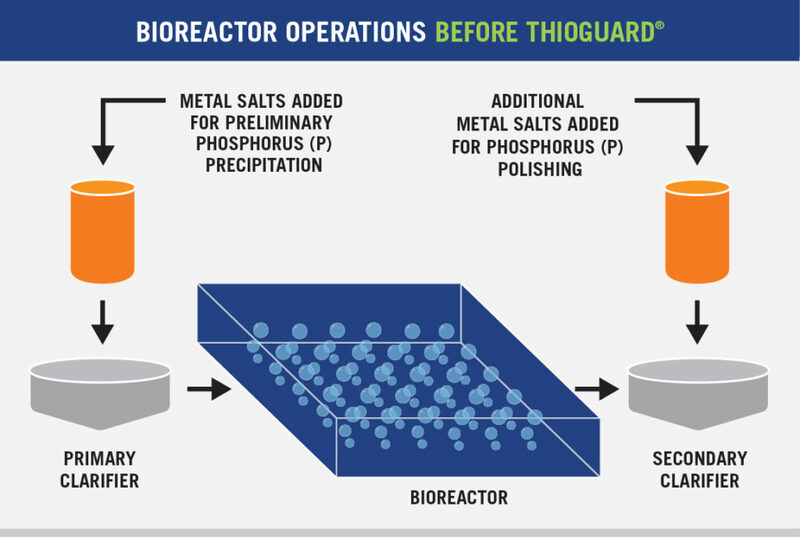 In addition, THIOGUARD® is the ONLY commonly used product that has a direct mechanism to prevent corrosion through sustainable and balanced pH levels. You will also benefit from a reduction in the formation of metal-laden sludge – significantly reducing your handling and transportation costs. 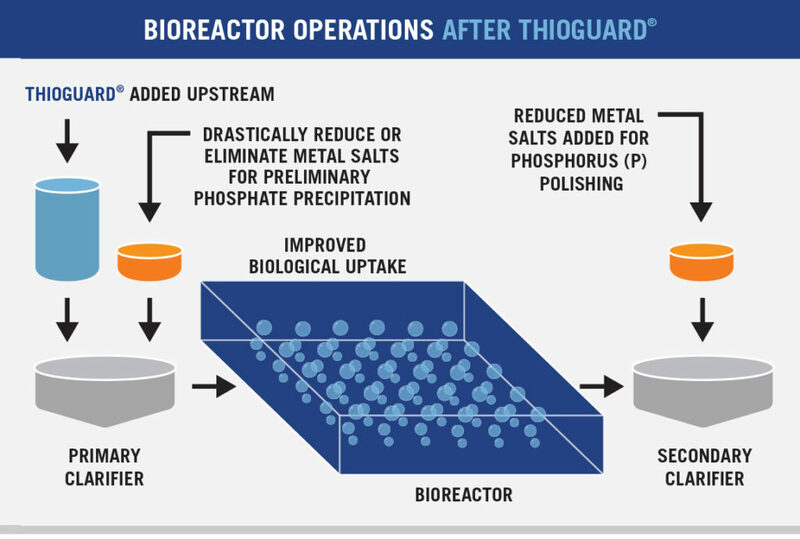 The benefits are numerous and system-wide, making THIOGUARD® the practical choice for your entire system.